When Phoenix drivers want to explore unparalleled comfort and sophistication, they opt for an incredible vehicle like the 2018 Jaguar F-PACE. Known for its beauty, this model also provides drivers with an interior that demands attention and stands out as a force to be reckoned with. When you want comfort and style all your own, explore the 2018 Jaguar F-PACE interior features below. What allows the Jaguar F-PACE to stand out against other Jaguar models is the way this vehicle couples style and sportiness. Inside the cabin, you’ll be surrounded by convenience features that allow you to enjoy more of what excites you. The 2018 Jaguar F-PACE is an obvious choice when it comes to picking the new model that you want to bring home to Phoenix, and it’s all due to the model’s incredible cabin. 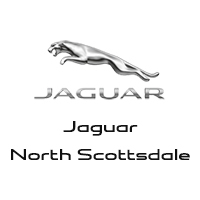 Visit Jaguar North Scottsdale today at 18100 N Scottsdale in Phoenix, AZ to see our inventory, or contact us at (855) 559-3222 to learn more about our current offers.